I’m very, VERY thankful that so far it is a mild case. but I’ve had pain for several days now. (that’s why I wasn’t surprised when the Dr. said it was shingles). but it’s still not as bad as other people have had. it keeps increasing until it feels like a knife in my back. It was interesting trying to make dinner last night. I’m hoping I’ll still get to do some sewing. I’m working on finishing some projects for my granddaughters. Last night I tried to work on my new “Happy Planner”. I’m praying it will not get any worse. We have a big conference coming up in two weeks. I’ll be there, Lord willing. “Stories to Tell My Grandchildren”. It’s really more like a Scrapbook, Planner, Journal rolled into one. You can customize it to fit what your needs & likes are. I’ll post some pictures of the inside as I work on it. It’s a lot of fun adding pictures, stickers, and quotes. That’s a shame you have shingles. Dang! I had the chicken pox so I’m sure my turn with shingles will come. Hopefully my kids who were vaccinated will never get it. Your happy planner looks great and sounds fun. Can’t wait to see more pics. Hope you recover soon. I’m so sorry you have singles. That’s another thing I’m hoping I can avoid. Typo – should be “shingles”. Sorry to hear. Hope you feel better. These things are send to test us! I don’t have a lot of pain now, so I’m thankful for that. Ugh! Been there, done that. On my face, no less! May you heal quickly! The planner looks like a precious keepsake! Oh Daisy! I am so sorry! My prayers go with you and may your healing be quick. Thank you, Kandy! That’s so sweet of you. So sorry to hear you have shingles! 😦 But thankfully it is a mild case! Yes! I’m definitely thankful for that! So sorry you have the shingles. Be so grateful it’s a mild case. When I had shingles, the doctor said most people get it once and that’s it – mine was a bad case. Not only the pain, but the rash and all – could not stand to have anything touch me. My hubby has a break out every few months – his isn’t as painful, but it is recurring. I’m not sure which is worse – the painful one time and be done with it or the not so painful recurring. Hope you recover soon. Love the Happy Planner! Oh no! I’d never heard of a recurring one! My husband had a really bad case many years ago. The Dr thought he was having a heart attack but then the rash in the back made it clear that it was shingles. It was during a very stressful time–he was working two jobs. I’m trying to relax and not get stressed…I know it had a lot to do with that. Stress is a trigger all right – Smart to relax as much as possible. Oh, no! Shingles can be so awful! Do whatever is needed to keep the pain at bay. In a way, having the journal is a good way to keep you focused on positive things, I would think, even through the pain of the moment. Yes, it’s been fun getting to work on the Planner, sewing, quilting… Maybe God thought it was time I took some time off. And this post makes me want to ask so many questions! #1. What kind of conferences do you do? Do you speak? –I’d love to hear about that! —and what are you writing in the “Stories to tell my grandchildren?” That sounds intriguing. And finally, I’d love to hear about your Happy Journal. I have never been one to be patient enough to just sit down and write– but I’ve been seeing some beautiful journals on Pinterest and it makes me want to write to be more reflective– how do you do it? You are amazing. Take care friend. I hope by the time you read this you are on the mend! hugs hugs. So good to hear from you Daisy!! Thankful you are on the mend… Wish I could drop in to a session where you are speaking! 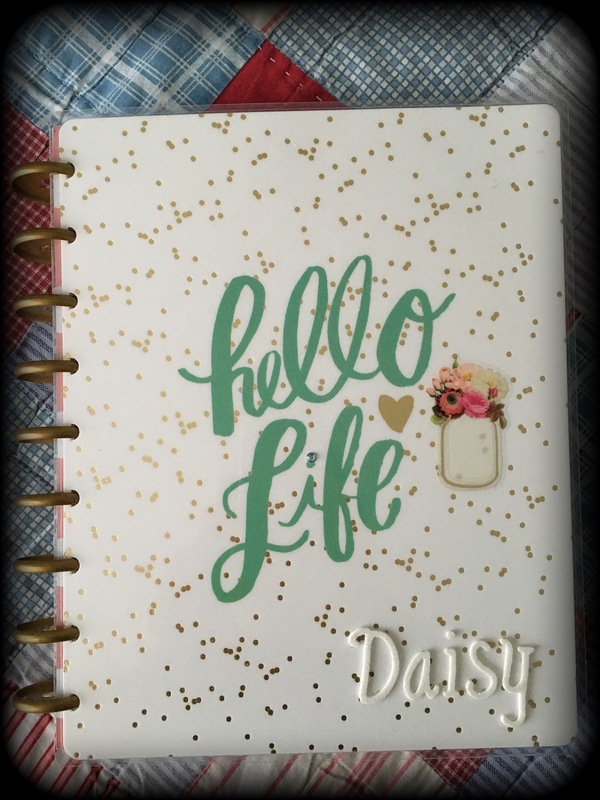 And love the the ideas of your journals– The Happy Journal sounds like it would start out being your calendar and end up being a scrapbook to save and look back on– what a fantastic idea! Love reading your blog and all you do…. hugs.